Who is right? 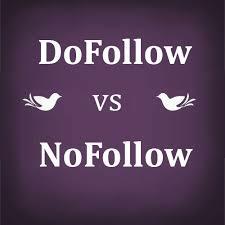 Who should you follow? Informers or repeating informers? So, are these people who constantly post and share one way, real experts or influencers? Take a further a look at what they are posting, yes they are posting worldwide, but when you, say take a week, look at all the posts and you will have repetition! Furthermore, they are posting information for you read (and sometimes including New or Just Released in the message) and yet when you click on the link included in their post, you will notice that it is months old, from earlier this year or last year – in some cases two or more years old! Thus, based on the above – can these people be the actual people to learn and educate you or your business from? Constant posting and re-posting – is this educational to you? Virtually all one way traffic – again is this helpful? How many times an hour are they posting? Are they posting every single hour? Do any of their posts actually contain names? If there are names, are they actually replying or engaging with their audience? Or are they just actually replying by saying ‘Thank You for following me”? How many of the posts are repeated? Also, look at the links and then click-through and see the dates of articles – how many are older than 18th of November 2013? Do these posts make reference to the fact they are old articles or re-posts? Whilst I may not agree with all their points of view, tweets, posts or comments, these people are ones that I have engaged with, happy to share their content and their comments are both educational and informative. All their comments are direct and fresh – no repeats (unless you count re-tweets) – so all covering the latest news and events to keep you both informed and educated too…. Thus, when choosing the people to follow and engage with, make sure they engage in a”Two Way Street” and “Are An Innovator and Educator” – so, don’t go for repetition, old news and a one way street, lead the way to put yourself on the path to success like these people have….. This entry was posted in Business Networking, Business Observations, Business Support, Read... and tagged Angela Clarke, Bill Grimsey, Brad Burton, Education, Educator, Engaging, Expert, Influencer, Innovator, Inspirer, Jacqueline Gold, James Caan, Leader, Links, Lucy Marcus, Lucy P Marcus, Martha Lane Fox, Melonie Dodaro, Mike Ames, Mike Pitt, Neal Schaffer, Networking, Nigel Botterill, Penny Power, Rachel Elnaugh, Re-Tweets, Simon Porter, Social Media, Society, Susanna Gebauer, Technology, Theo Paphitis, Thomas Power, Twitter, Website, Wikipedia. Bookmark the permalink. Working whilst relaxing……can this happen? LinkedIn Help or should we say the lack of it when needed…….. So very true Chris and one they forget as soon as they start have an income stream just from posting! Who is actually doing the tweeting? The “experts” or social media managers who have daily/weekly “tweet” and “follower” targets to achieve as part of their KPI’s. The problem here is quality control as managers are just measuring the numbers rather than the quality of the post. Your visit to a website from clicking through on Twitter validates what they do. The key is that we have to monitor this ourselves and repeat offenders should be unfollowed. There is plenty of great content being posted out there. Real “experts” don’t have the time to post 20 times a day or the inclination to repeat links to tired old content. So if you do unfollow you will have lost little. Excellent comments Eddie and gratefully received. All posts, comments and tweets I do, are done by myself but I know what you mean. Great post Ian! The trouble is that people often don’t understand the importance of engaging and connecting with others on social media, they just see it as a platform to ‘tell’ people things. They are often posting old information because they have been looking for info online and not checked for themselves how old that article is. The ‘network’ part of social media is often forgotten and replaced with ‘pitching’. You are very right Carol – as an example, I have in last 24 hours had over 10 tweets from many well know Social Media people who have over 75,000 followers on Twitter each plus the same number of followers on Facebook as well; yet these tweets all contain links to posts and articles from over months ago, sometimes last year! What makes this worst, is that some of the articles are about using Social Media and what they can do for you, yet these platforms have been updated by many versions in some cases. Thus, how can these people be credible to follow and take advice from? The answer is in the question I think. The thing is that these people are succeeding on getting followers where others are failing!